Back at CES, Lenovo revealed the Mirage Solo—the first standalone Daydream headset that doesn’t require a smartphone connection. The company said the device would release sometime in the “second quarter,” but a B&H listing states that it’s now available for pre-order at $399.99 and will launch on May 11. The Mirage Solo weighs just 645 grams and is powered by Qualcomm’s Snapdragon 835 processor along with 4GB of RAM. It features 64GB of storage, which is expandable up to 256GB via the microSD slot, and a 4,000mAh battery. The Solo also boasts a 5.5-inch QHD 2,560 x 1,440 LED display running at 75Hz with a 110-degree FOV. The HTC Vive, for comparison, has a 2160 x 1200 resolution, though its refresh rate is a higher 90Hz. 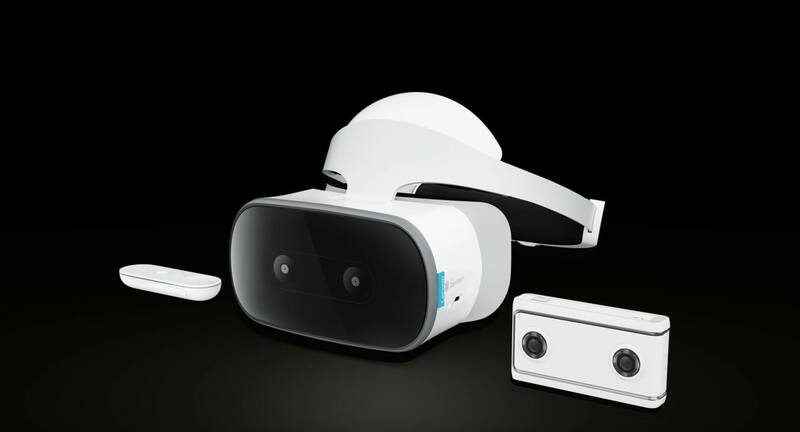 In addition to the Mirage Solo, B&H also lists the Lenovo Mirage Camera, “an easy-to-use, point-and-shoot VR camera that lets you create your own stereoscopic VR content.” Its dual lenses can capture13MP images and 4K, 1440p and 1080p video at 30 frames per second. The camera is available for pre-order at $299 and has the same May 11 shipping date as the Solo. While these dates could just be placeholders, the fact they are straight after Google’s I/O conference, which runs from May 8 to May 10, suggests they’re accurate. And Lenovo has already said the Mirage Solo and Camera would sell for under $400 and $300, respectively. Amazon also lists the Mirage Solo VR headset and Mirage Camera, but they can’t be preordered, and there are no shipping dates or prices.